Have an outdoor pool that you don’t want to drain? Need to get rid of the portable pool but don’t want to do any work? There’s a much better and infinitely more fun alternative solution: blow that mother up with firecrackers. 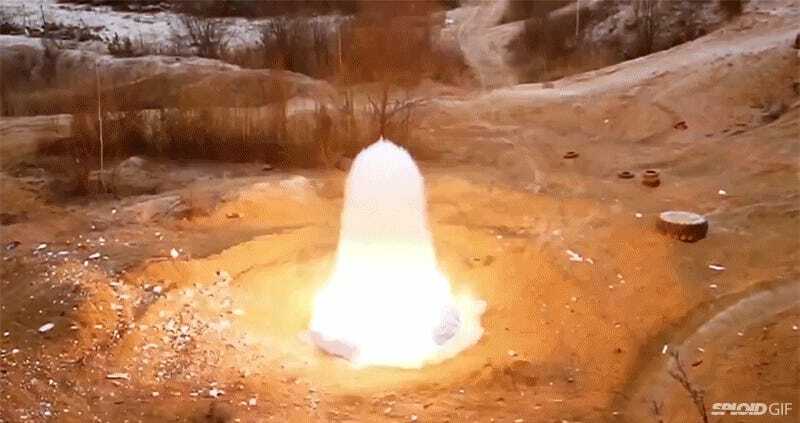 It creates an explosion that looks like a mini atom bomb and spreads the water everywhere. It is absolutely the funnest thing you can do in this weird time of the year when it’s not quite cold and not quite warm. The Russians know how to live.